Product prices and availability are accurate as of 2019-04-20 01:06:20 EDT and are subject to change. Any price and availability information displayed on http://www.amazon.com/ at the time of purchase will apply to the purchase of this product. This versatile positioning bolster elevates the lower extremities with the knees and hips bent to 90 degrees. Depending on which side is down, the CUBE has a height of 18", 20" or 22" to accommodate the lengths of most femurs. Benefits of use include release of muscle tension in the hips, lower back, neck and shoulders; elimination of imbalances from work, sports and improper sitting or sleeping positions; optimal alignment prior to exercise or activity. 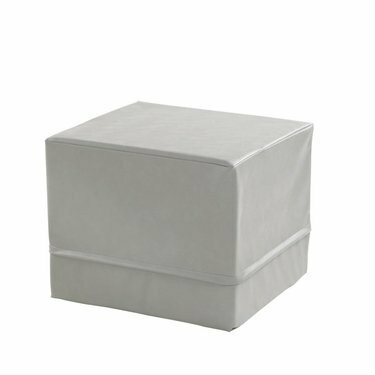 The 90-90 Positioning CUBE is made of high-quality, lightweight foam that's covered with a soft, durable, easy-to-clean vinyl. Measures 18" H x 22" L x 20" W.